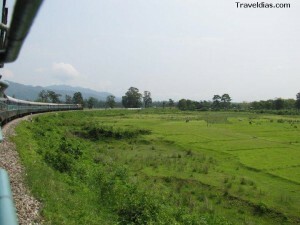 Gorumara National Park is located only a few kilometers away from New Mal Junction railway station in Dooars. It is around 30km approx. from Mal junction to Gorumara entry gate at Lataguri. 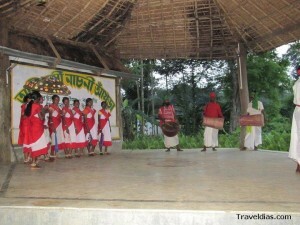 Lataguri is the gateway to Gorumara National Park. Gorumara is one of the most visited forests in north east region of India. It is a hot spot for wild life photographers and nature lovers. The entry point to Gorumara Park is located at Lataguri. The nearest railway station is New Maynaguri, approx. 20km away. Only passenger trains halt here. These passenger trains can be boarded from NJP station or Siliguri station. The only express train that plies in this route is Kanchan Kanya Express that departs from Kolkata at night and reaches New Mal junction next day morning. New Mal Junction station is located approximately 30 km away from Lataguri. Lataguri is also well connected by road from Siliguri and NJP. Gorumara National Park is approachable from NH 31 which connects Siliguri and Guwahati. Latguri is around 75 to 80 km away from Siliguri. The nearest airport is Bagdogra Airport which is 12-13 km away from Siliguri. Taxis can be reserved from outside the terminal to visit Lataguri directly. Jungle Safari is the best thing to do in Gorumara National Park. A safari is the best way to spot the habitants of the jungle. Jeep Safari is the most popular safari in Gorumara National Park though elephant safari is a much better experience. 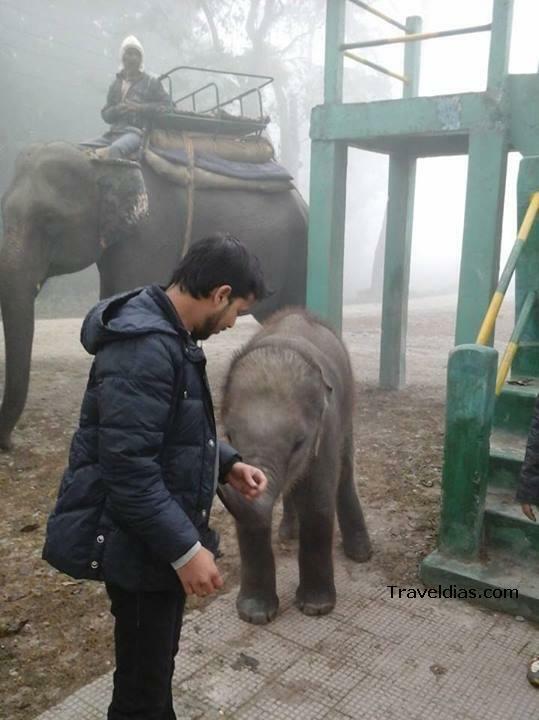 Most of the tourists are interested in riding elephants but they have to settle for Jeep safaris. The reason is so because tourists staying in private resorts and hotels are not allowed to avail elephant safari. Only people staying in government lodges can go for an elephant ride. There are a few government lodges in Gorumara which can be booked from the Divisional Forest Officer’s office located at Aranya Bhawan in Jalpaiguri district. 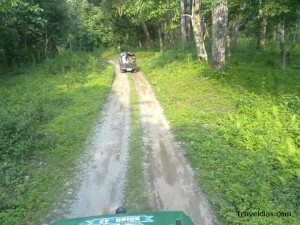 Jeep safari is a very popular activity people engage in Gorumara Park. Private cars are not allowed inside the jungle and only forest department cars are allowed to go inside the forest for a safari. The safari is done in green colored, open hood, petrol driven Maruti Gypsy cars which create less noise compared to diesel vehicles. The vehicles can accommodate 6 persons at a time. The forest department provides the driver and a guide who will accompany you inside the jungle during the safari. The cost of jeep safari in afternoon is more than the cost of Jeep Safari in morning. In afternoon the cost is more because the safari ends with a cultural and dance show performed by the people of Santhal community. The cost of Jeep Safari in afternoon is Rs 400 per head including jeep fare, driver’s charge, guide’s charge and entry ticket. So the cost of hiring a full Gypsy in afternoon safari is Rs 2,400 which would be a bit less in the morning Safari when there would no cultural show by the Santhals. It is a 2 hr ride approximately. Jatraprasad Watch Tower is the best place to spot wild animals in Gorumara Park. The watch tower is named after a popular elephant. First preference for Jeep Safari should be to this point. In case tickets are not available then one can go for other watch towers and points where the scope and chance of spotting a wild animal is less compared to Jatra Prasad. The Jeep Safari takes to various watch towers and points. There are in total 5 points in Gorumara National Park. Tourists staying in Gorumara Forest Bungalow, Dhupjhora Bungalow and other lodges of the West Bengal Forest Department can avail the elephant ride which really much more enjoyable and a better way to explore the jungle. The elephant takes you deep in the jungle, crosses the streams of water and reaches close to a one horned Rhino or a wild elephant or a deer etc. It is a 1 hr ride approximately. Booking the forest bungalows in Gorumara is really tough. You can only book it through the forest office at Aranya Bhawan in Jalpaiguri district as I have mentioned above. Most chances are that you won’t get a scope to stay in. This is the reason why tourists prefer to visit Jaldapara Wildlife Sanctuary. There is also the same norm that tourists staying in government lodges can only avail elephant safaris but the fact is those lodges belonging to the WBFDC and WBTDC can be booked. Jaldapara is famous for elephant safari from Hollong Tourist Lodge. I want to visit Gorumara and to avail the Medla watch tower only . Is it possible ? Yeah… possible. You get tickets for Medala Watch Tower from Gorumara forest ticket counter at Lataguri. Tickets are given on first come first serve basis. You will have to provide identity proof while getting the tickets. Take a photocopy with you. You can mail me at “uvreachedavi@gmail.com” if you have further queries. I will surely revert back. i want to visit dooars in the month of january. i wan to visit Gorumara National Park, Samsing, Sunthalekhola, Moorti river and jhalong. i want stay 1night in lataguri and 1night in jhalong river camp. what will be the cost per person? and is there public transfer available. 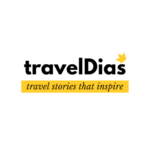 please recommend a low budget trip. You can cover Murti, Bindu, Chapramari, Samsing, Suntalekhola, Rocky Island, etc. from Jhalong River camp. 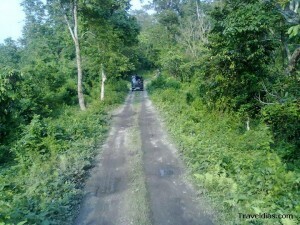 You can even enjoy jeep safari in Gorumara from Jhalong. Lataguri is the entry point to Gorumara forest. You can skip staying at Lataguri and rather you can stay both nights at Jhalong river camp. There are no public transports for sightseeing and safari. You muts have a reserved vehicle for all transfers and for jeep safari in Gorumara you will have to buy tickets for Gypsy separately. For further details, you can mail me. i want to visit dooars in the month of october with our private car..